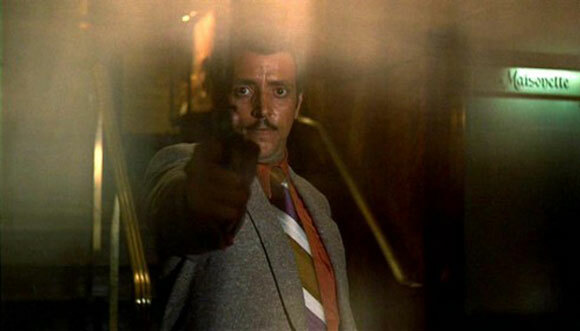 Joe Spinell is an actor you might not immediately recognise but he’s appeared in no less than three Best Picture Oscar-winning movies. 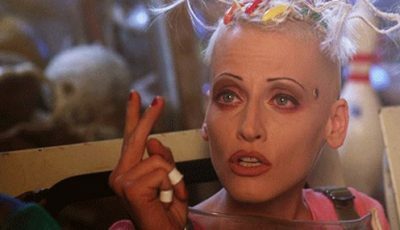 Mark Fraser runs down his unique & diverse top 10 films. 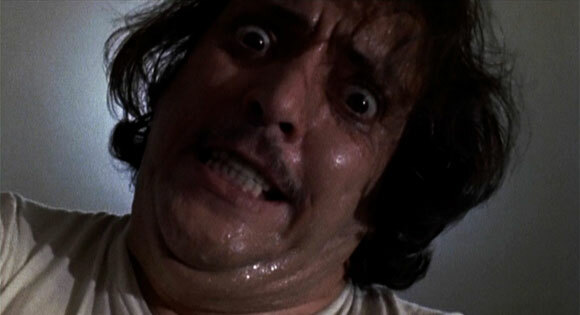 Joseph “Joe Spinell” Spagnuolo (1936-1989) enjoyed what was arguably one of the most unique acting careers in modern Hollywood’s history. Aside from appearing in no less than three Best Picture Oscar-winning movies, he also turned up in the biggest box office hit of its day as well as one of the most expensive studio flops produced in the US before 1980. Furthermore he had a small, albeit memorable, role in one of the great American films of the 1970s. To cap it off, he worked for some of the industry’s most influential directors and beside a number of A-list actors. Mark Fraser looks back at some of Spinell’s more memorable moments. A leading role for Joe – who also wrote this – but a film that was never going to win the Best Picture Oscar by any stretch of the imagination. At its core this is a highly repellent thing about a serial murderer called Frank Zito (Spinell) who stalks, knifes and scalps women so he can nail their heads of hair to his live-at-home mannequin dolls. The character isn’t too complex, but when he’s in action he is absolutely vicious. 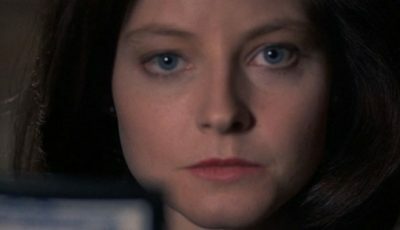 This violent and exploitative horror piece was reviled by feminists and critically panned when first released. Nevertheless it eventually broadened the actor’s audience and ultimately ensured that he would enjoy other prominent parts (like 1982’s The Last Horror Film AKA Fanatic), as well as leave a legacy for the movie-going public to ponder. For gore fans, this picture has one interesting redeeming value – it further championed the Oscar-worthy talents of bloody make-up guru Tom Savini, whose career was just gaining significant momentum following his work on George A Romero’s Dawn of the Dead (1978) and the first Friday the 13th (also 1980). Aside from providing the gory effects in Maniac, Savini plays a victim who gets his head blown off by Zito while sitting with his girlfriend (Hyla Marrow) in the front seat of their car. Spinell plays Lt Spinell, one of the inmates of an isolated mental hospital for former members of the US military, where the psychopathic Colonel Vincent Kane (Stacey Keach) turns up for treatment. 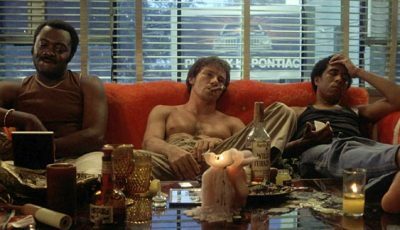 While he gets a few lines, the best of the film’s comic dialogue is given to the other members of its strong ensemble cast (which includes Scott Wilson, Jason Miller, Ed Flanders, Neville Brand and Moses Gunn). Misunderstood when first released, this one suffered at the hands of the studio editors until the age of the director’s cut, when Blatty (author of The Exorcist) was able to properly reissue it to a more informed audience. As far as I know, it’s one of the few films in Leonard Maltin’s long running movie guides that has had its rating upgraded since its original entry appeared back in the first half of the 1980s. Again Spinell had a supporting part in what became one of the last great leading man vehicles for Robert Redford, who was coming to the end of his 1970s superstar phase. Here he plays prison trusty Floyd Birdwell, who is part of a team appointed by the liberal-leaning chief warden Henry Brubaker (Redford) to help reform a corruption-ridden southern prison. Joe is a prominent member of the movie’s second tier troupe of actors – so much so that his role is larger than that of future megastar Morgan Freeman. 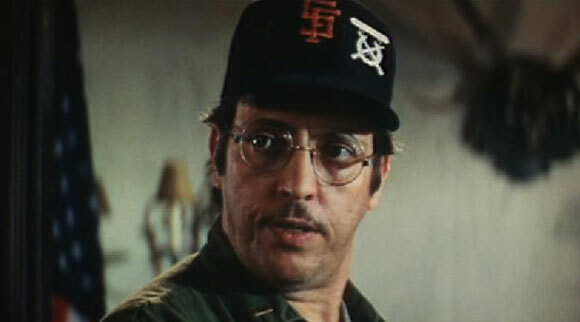 As “Spider”, Spinell only has a small part, playing an out-of-luck American expatriate working for an unscrupulous multi-national oil company somewhere in the Dominican Republic jungle. 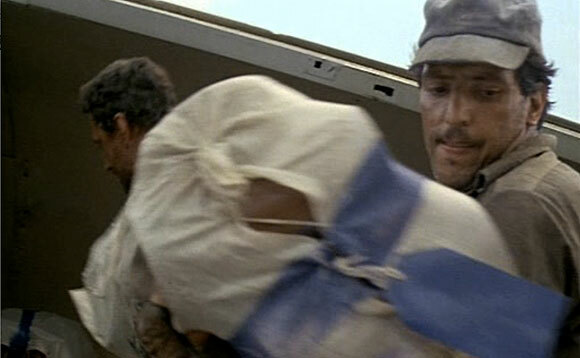 Although his dialogue with co-worker Scanlon/“Dominguez” (Roy Scheider) was changed when the film was released outside of the US under the handle Wages of Fear, a slimmed-down Joe still has one of the best lines in both versions: “I need to know the machine!” Critically hammered, re-edited for the international market and knocked backed by audiences during its initial release, this US$21-23 million movie – once deemed one of the biggest flops ever produced by the studios (Paramount and Universal) – is finally getting the broader recognition it deserves. 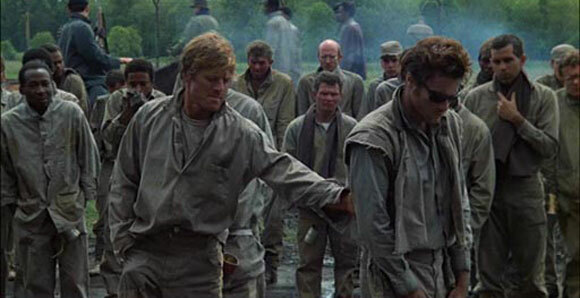 Joe – as the take-no-crap Lieutenant Munafo – pretty much chews up the scenes he’s in with star Sylvester Stallone, who plays a New York detective sergeant on the trail of a murderous terrorist (Rutger Hauer). Poor Sly is simply no match for the man. 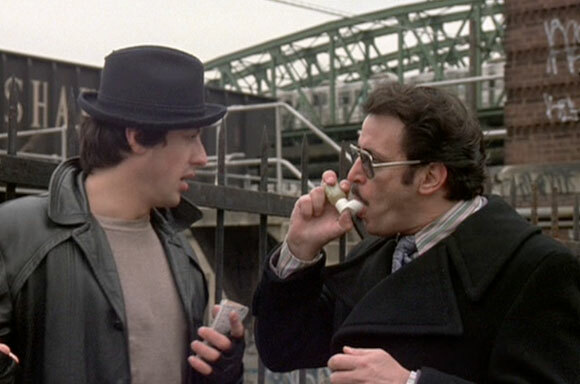 Apparently they were fairly close friends until the making of this film – something which explains why Spinell turned up in the first two instalments of Rocky. In what is arguably English director Nicolas Roeg’s most visually-rich picture outside of his 1976 opus The Man Who Fell to Earth, Spinell plays Pete, one of the hoods employed by Miami gangsters Aurelio D’Amato (Mickey Rourke) and Mayakofsky (Joe Pesci) to murder erstwhile gold prospector Jack McCann (Gene Hackman), who is refusing to sell his Caribbean Island to the mobsters so they can build a casino on it. 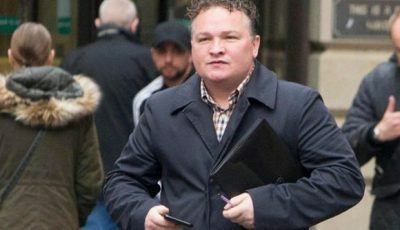 Ostensibly a loose remake of Citizen Kane, Joe has a formidable presence in one of the film’s key scenes, that being when Pete helps kill and mutilate McCann using a blow torch. While they certainly help, Spinell’s evil smile and deadly mocking presence are not what make this moment so important to the story; rather, as the dead and badly burnt McCann lies on his bed under a blanket of slowly falling pillow feathers, it’s the only moment in the entire film that this rich, cranky old man seems truly at peace. New York Patrolman DiSimone (Spinell) casts his malevolent presence over this film from the very start when he and his partner (Mike Starr) pick up a couple of transvestites (Gene Davis and Robert Pope) to procure sexual favours on the night of the movie’s first murder. He later briefly appears as a cruiser, and then ends up being the first policeman at the scene of the final slaying, adding to the ambiguity of it all. This was the second film in which Joe was cast by director William Friedkin after Sorcerer, and another one that garnered quite a bit of negative publicity – this time due to its controversial portrayal of NYC’s gay leather scene. 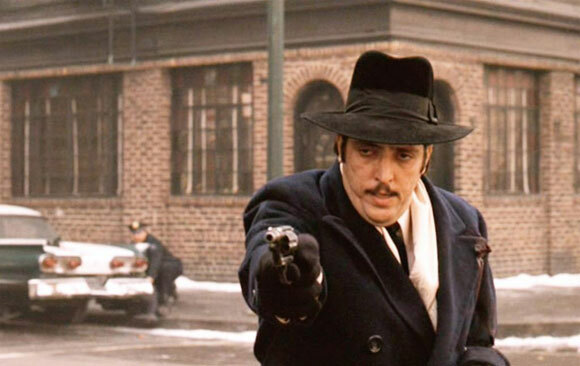 Having the good fortune to be cast as Corleone Family henchman Willi Cicci, Spinell was one of the few thugs who graduated from The Godfather to its sequel, effectively securing him a spot in two Best Picture Oscar-winning movies. 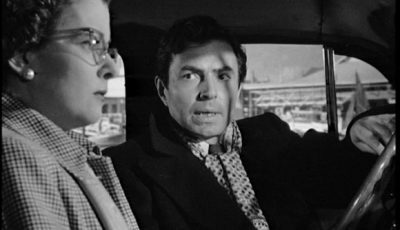 In the first he doesn’t say much, but he is in the famous murder-baptism montage towards the end of the movie that has become part of American cinema (not to mention film theory) folklore. This was Spinell’s first film. 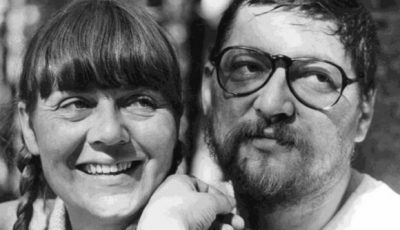 It was also the highest grossing film of its day, a position it enjoyed from its release in 1972 (knocking 1965’s The Sound of Music from the top spot) until the arrival of Steven Spielberg’s Jaws in 1975. 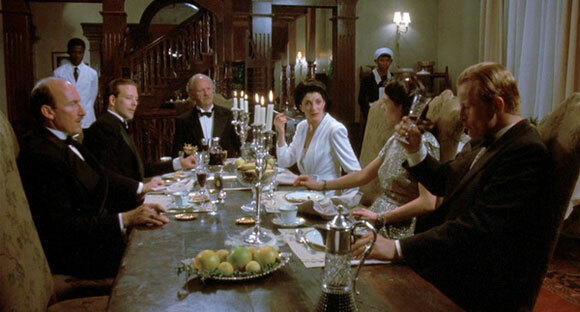 Director Francis Coppola gave Joe more dialogue in this one and saw fit to include him in one of the second half of the film’s key scenes – that being when the criminal activities of the Corleone family are investigated by the US Senate. 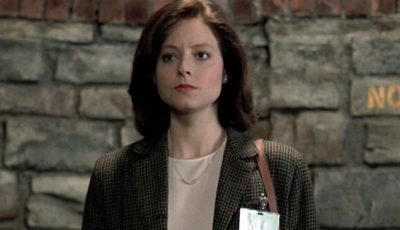 Ultimately, it’s Cicci’s evidence which alerts the committee to Michael Corleone’s (Al Pacino) murderous activities in the first film – namely his Italian restaurant killing of Sollozzo (Al Lettieri) and Captain McClusky (Sterling Hayden) and the brutal wiping out of his opposition in the above-mentioned montage. 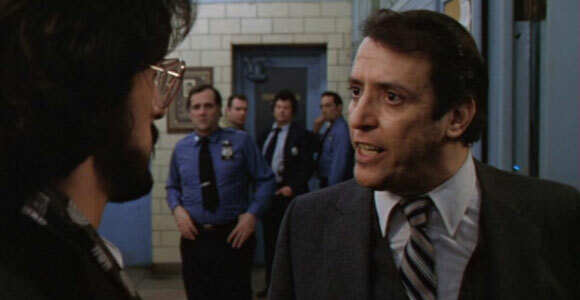 Not too many actors have managed to intimidate the on-screen Robert De Niro – but it’s safe to say Spinell is one of them. 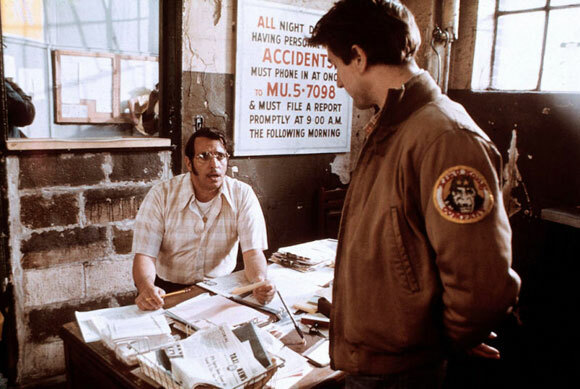 As the take-no-crap cab dispenser at the start of Taxi Driver, his character makes no exception for Travis Bickle (De Niro), immediately putting him in his place after Bickle attempts to make a joke while applying for a driving job. When he finds out Travis is a fellow veteran, however, his mood immediately changes, putting the applicant at a cautious ease. It is quite a deft piece of acting – a performance which holds its own against the great De Niro. 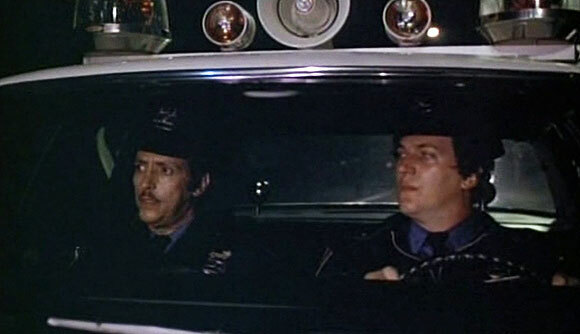 The cab dispenser is also the first character (outside of the protagonist) to appear in what has become one of the high points of American cinema during the 1970s. It was also Spinell’s fourth appearance in a film that was nominated for (and arguably should have won) the Best Picture gong. I’m afraid I’m not familiar w/ his work at all. But he sounds like the kind of character actor that can disappear into his roles. RIP Mr. Spinell. A fabulous actor to highlight. His talents weren’t wasted but I always felt there was more he could have done despite his efforts to get his ideas onto the screen. Hollywood seemed to be afraid of him, always finding a small role for him but never the lead. He didn’t have the presence of Stallone or De Niro but nevertheless could immerse himself in a role just as well as Stallone in Rocky, De Niro in just about everything and the other greats like Pacino and Hoffman. One of the great character/supporting actors in Hollywood! Made any movie he was in better! nice piece. I’d rate MANIAC higher – some beautiful vulnerability w/ his psychosis, & surprisingly strong chemistry w/ CMunro. Brilliant topic, brilliant list. Loved it. What an amazing underated character actor , like mentioned above, he made every film he was in so much better. He is listed on my top 10 slasher list with “Maniac” a superb and demented performance and was the lead, too. But I agree with Mark that short performance inTaxi Driver was so profound and memorable. I’m not surprised it floored Deniro! Agreed also with #1. I can watch that clip many times over.